With new wineries arriving on the Northern California wine scene each year, it’s easy to get distracted by the new kids in town. Like many wine lovers, I’m always interested in hearing about new producers, especially if they’re veering away from the mainstream in terms of grape varieties, blends or styles. But sometimes the classics are just what I’m looking for. Wineries with a sense of place and history, specializing in traditional varieties, can be as welcome and satisfying as a plate of mom’s pot roast. 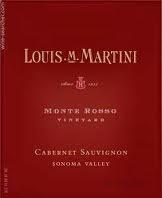 Louis M. Martini Winery in the Napa Valley is one of those classic California wineries. Whenever I pop a cork on one of Martini’s Cabernets, I know that the wine in the bottle will be well made and a pleasure to drink -- rich, yet expertly balanced. That kind of consistency comes with decades of experience. For Martini, it started in 1933, when Louis M. Martini, an immigrant from Genoa, Italy, founded the winery. In 1954, he passed the baton to his son, Louis P., who expanded and modernized the winery. 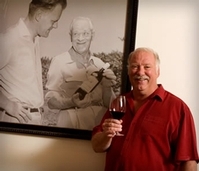 In 1977, Louis P.’s son, Mike, became the winemaker. Mike has been making wine at Martini ever since -- but that’s not to say that nothing has changed since he took the reins. The Martini winery has had its ups and downs over the years. It went through a slump in the `80s and early `90s, but that was followed by a quality comeback, thanks to an upgrade in winemaking equipment and a renewed focus on key varietals. But by the year 2000, the winery was struggling due to increased competition from imports and other domestic wineries. Being neither a boutique producer nor a Big Dog, Martini had a hard time getting distribution in a crowded marketplace. Some predicted the beginning of the end in 2002, when E. & J. Gallo bought the winery, but the result has been anything but. Rather than losing its soul, Louis M. Martini gained Gallo’s distribution network and resources, and the wines have never been better. Raised in the family vineyards, he had both a hands-on education via his father and grandfather and a formal education at UC Davis. Mike also learned from legendary California winemaker Andre Tchelistcheff, with whom he traveled to Burgundy and Burgundy in 1981 to explore artisan winemaking techniques. In 2003, the year after Gallo bought the winery, Mike was able to put those artisan methods into practice in the newly constructed winery-within-a-winery, Cellar 254. Located on the Martini winery property in St. Helena, the micro-winery is where Mike and his team continue to make small lots of Cabernet Sauvignon. Wine Review Online (WRO): What did you learn from your father that a formal winemaking education couldn’t teach? Mike Martini (MM): The definition of balance. It starts with the grape, which is why we call our picks by taste, not numbers. You need to see the final balance of your wine in the grape and then apply techniques to extract what you see while maintaining that balance. WRO: What did you learn from Andre Tchelistcheff? MM: I learned that each wine has its own personality, much like raising children. Your response to a specific wine is dependent upon that wine’s personality. WRO: With such a great history behind the winery, why did your family sell it to Gallo? MM: It was a solution to maintain the integrity of the brand and the legacy of my family. The strengths of both families came together to amplify each. WRO: How did the transfer of ownership affect the winery, and your role as winemaker? MM: My role got easier as Gallo brought on board lots of resources I didn’t have -- like people and money. It enabled me to buy better grapes and to build Cellar 254, which I believe is paying off some big dividends. WRO: Which wines do you make at Cellar 254? MM: Cellar 254 is for all our specialty wines, like Lot 1 and the Monte Rosso Cabernet Sauvignon. The main winery creates our Napa Valley Appellation wines as well as our Alexander Valley wine and the Napa Ghost Pines wines. WRO: How many acres of vineyards does Martini have now? MM: Since we are a part of Gallo, I’d have to say that we have a lot more than we at Martini can use. Officially, I guess we source out of Sun Lake, Ghost Pines, Sage Canyon and Monte Rosso. Del Rio has been spun into MacMurray Ranch, but that was originally ours. That means Martini has about 660 planted acres, but we share with William Hill and Gallo of Sonoma, and we sell grapes to 25 different accounts that source grapes from Monte Rosso. Likewise, we bring in fruit from Barrelli Creek for our Alexander Valley line. WRO: What makes the Monte Rosso Vineyard, in the Sonoma Valley, special? MM: Monte Rosso is where the crosshairs of soil and climate come together to create exceptional grapes. It manifests itself in wines of higher acid and fabulous concentration -- very terroir-driven in a very elegant way. Ultimately, it comes back to the original question of balance. WRO: Since you produce both, what are your thoughts on Sonoma vs. Napa Cabernets? MM: Sonoma makes softer, rounder Cabernet whereas Napa has more backbone. This is generally speaking, as there are always exceptions to the rules. Sonoma has a tendency to be blackberry where Napa is more black cherry. WRO: How much Cab are you producing? MM: We’re doing about 380,000 cases, weighted heavily towards the Sonoma County label. WRO: When you’re making your wines, what style are you aiming for? MM: My style is more European than (that of) most California winemakers. I don’t like to assault the senses, but would rather caress them. My definition of balance is a wine that has length and plenty of mid palate, as well as a slightly higher acid then the mainstream. I feel this ages better and goes better with food. WRO: How are you able to make such high-quality wines at such reasonable prices? Your $18 Sonoma County Cabernet is better than some I’ve had at twice that price. MM: As I said, the relation between the Gallo and Martini families enabled both of us to excel. It has been 10 years now, and a total pleasure doing business with them. The resources they brought to the table enabled us to focus on the details that make great wines at reasonable prices.